Foreign trade officials in Mexico and China have announced retaliatory tariffs against agricultural products after the president imposed tariffs on imported steel and aluminum. Grassley said an escalating trade war with Canada could have ripple effects throughout the state. "It would be catastrophic," Grassley said. "If you can't export it, it means prices are going to fall." With more than $10 billion worth of agricultural exports, Iowa's farm economy depends on foreign trade partners. According to federal data, Canada is Iowa's top export market, followed by Mexico, Japan and China. During the show, a caller named Steve from Altoona asked about the economic impact on pork producers like those at this month's World Pork Expo in Des Moines. "The people that were at that Pork Expo last week in Iowa were almost in tears describing what's happened to the market and their ideas about what's going to happen in the future," the caller said. Grassley said the president's tactics are making business unpredictable for the state's pork, corn and soybean producers. "How can you do that when, one day you have tariffs. The next day they're off. The next day they're on," Grassley said. "And then you have three different groups of people going to China to negotiate and they all come back with different answers." 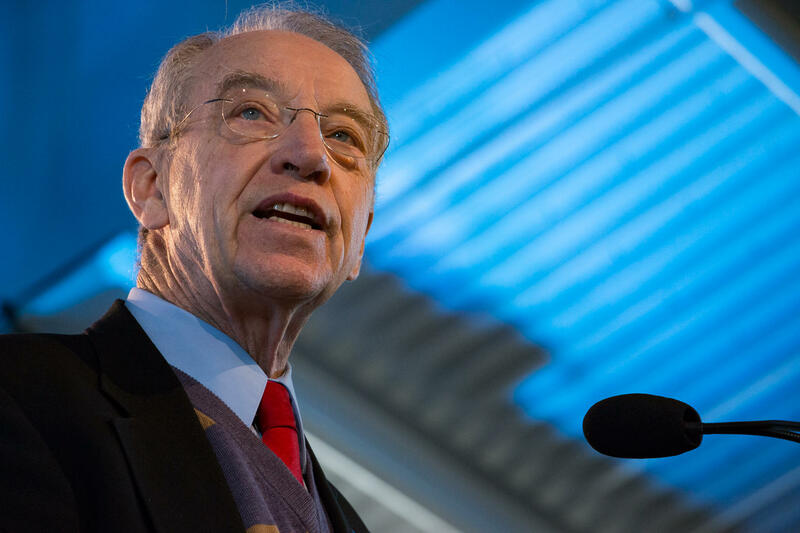 Turning to the president's upcoming summit with North Korea on nuclear weapons, Grassley said he sees an opportunity to open up international trade with the notoriously isolated country. "You not only have a less military confrontation, but you also are able to help the lives, the very destitite lives of people in North Korea," Grassley said. The Republican senator, who also chairs that chamber's Justice Committee, pushed back against the president's recent claim that he has "the absolute right" to pardon himself for any potential criminal charges. "Nobody in this country is above the law. Nobody. Including the president," Grassley said. When pressed on whether Congress should impeach the president and remove him from office, Grassley said he shouldn't answer.